The library book trolley is a mobile shelving unit which has been designed for use in school libraries, classrooms and reading corners. Constructed from 18mm MFC in a modern beech finish, with easy glide castor wheels so transporting the school book trolley is smooth and hassle free. The double sided mobile book trolley features three horizontal shelves on each side making books easily accessible to children. Please note: the books featured in the product image are not included. For more information please Contact Us or call us on 01733 511121. 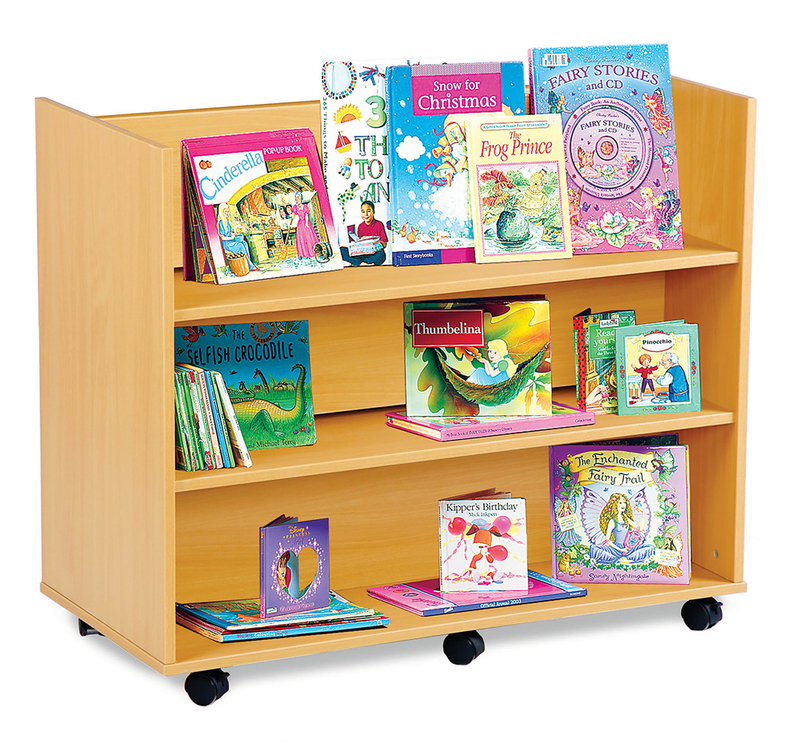 View our full range of book storage and book trolleys.